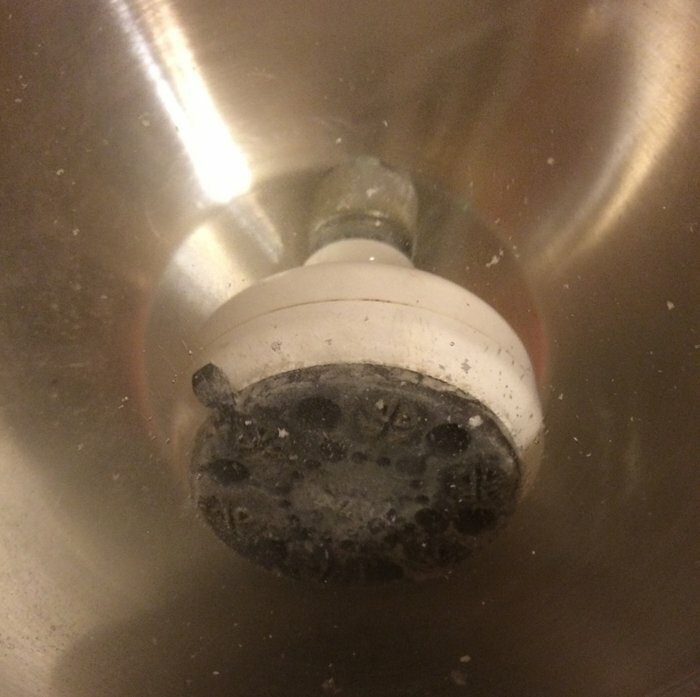 Faced with a shower head beginning to spray water in every direction except my body, I set out to do a full cleaning of the shower head pictured below. 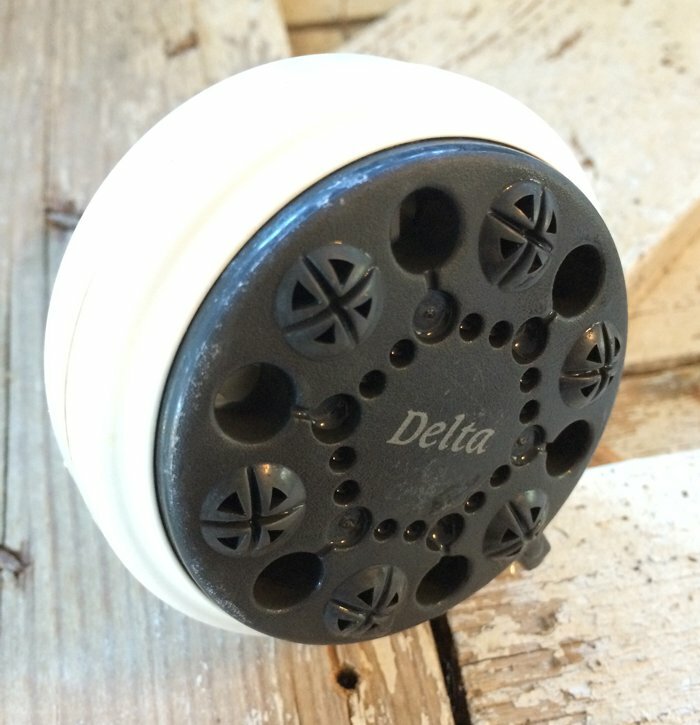 Although it has far outlived the era, if it ever existed, in which it was stylish, I’m in love with this old Delta non-water saving shower head. I didn’t want to scrub and didn’t want to deal with harsh chemicals, but I decided to give it a soak in a citric acid bath to see what would happen. The results were so dramatic I just had to document and share via my blog. 3. Hot water and a non-reactive bowl. 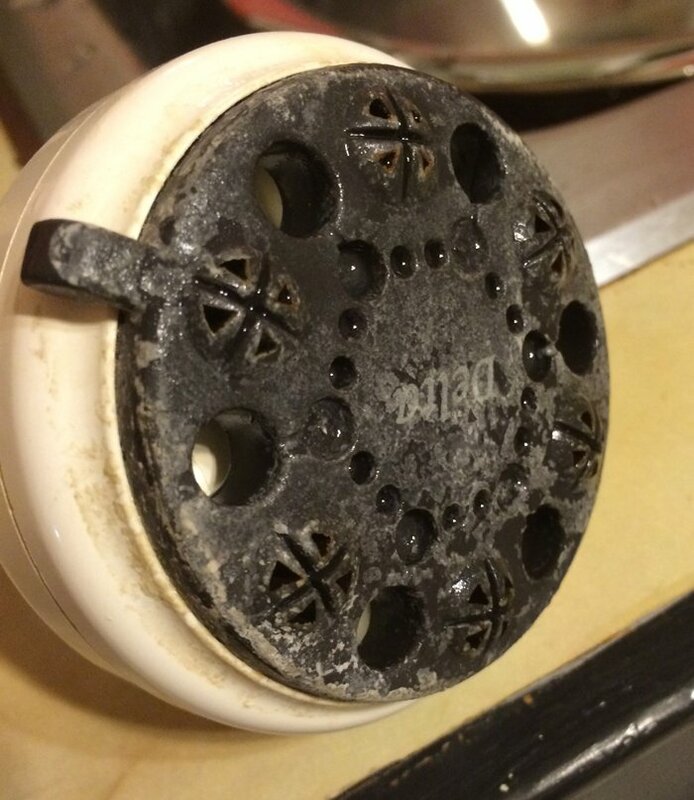 First, you need to completely remove your shower head. Don’t worry, it’s not hard! 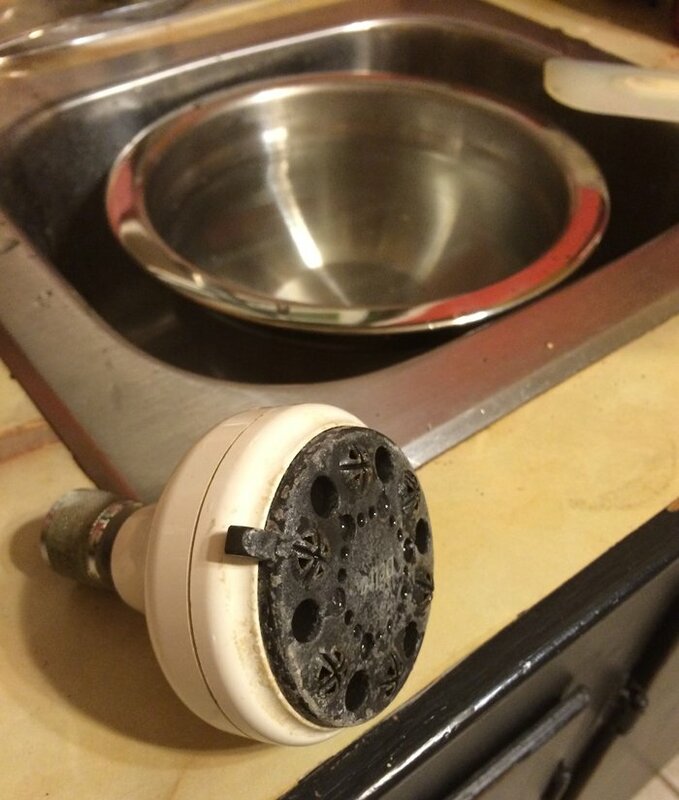 There are tons of two-minute tutorials for how to remove a showerhead on youtube. The channel locks make it 100 times easier than using pliers. Next, mix a strong solution of powdered citric acid in a non reactive bowl. (plastic works, this time I used a stainless steel bowl) I used about 3/4 cup powered citric acid to 1 gallon of near boiling water. Stir to dissolve the citric acid completely. Carefully, using a large spoon, lower the shower head into the solution. (Be careful! The water will be HOT and though citric acid isn’t particularly caustic, it’s not something you want to splash into an eye) You’ll immediately see bubbles start to form on the shower head and rise- that’s the acid dissolving the minerals built up on and inside your shower head! Let sit 1-2 hours, then repeat the process if any mineral build up remains. 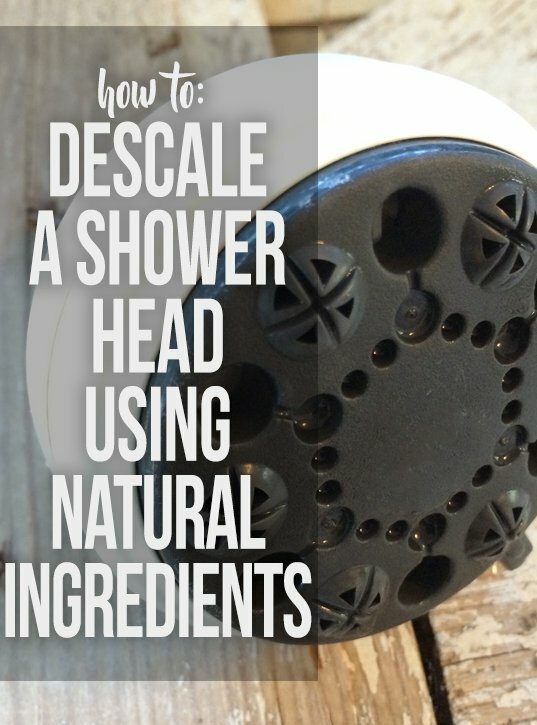 When you are satisfied, since the shower head thoroughly inside and out, reattach to your shower spigot, and enjoy an immensely improved shower! Liked it? Support Hawk-Hill on Patreon! You did a great job with your shower. I am going to try cleaning with citric acid. I bet it smells fantastic. 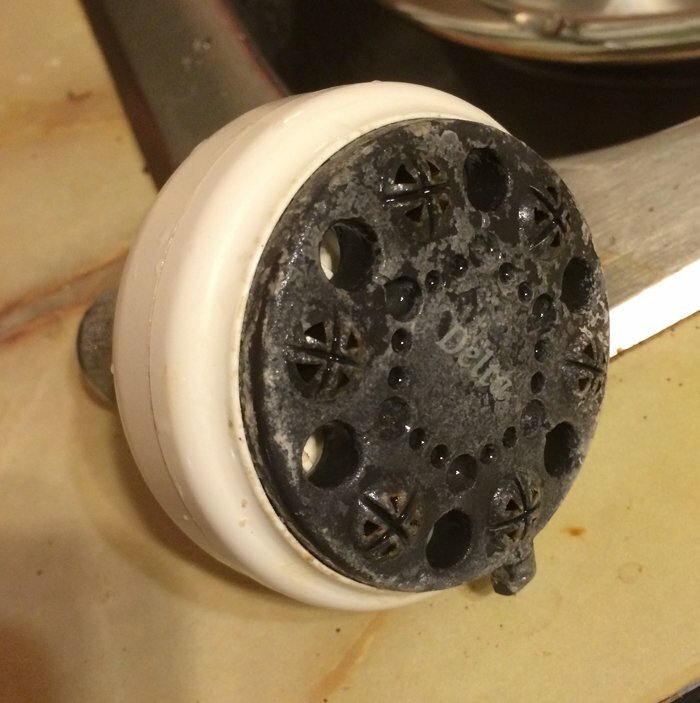 I have never cleaned my shower head. I hope it is as easy as it seems. Thank you for sharing your article. Greetings!